Chuck Pozanak spoke about some questions about some radio interference at the east corner of the field. 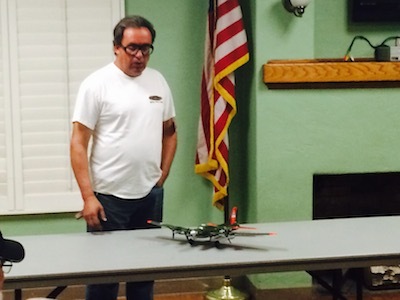 There was a discussion about the FAA report on drones, California leads at 196 reports. 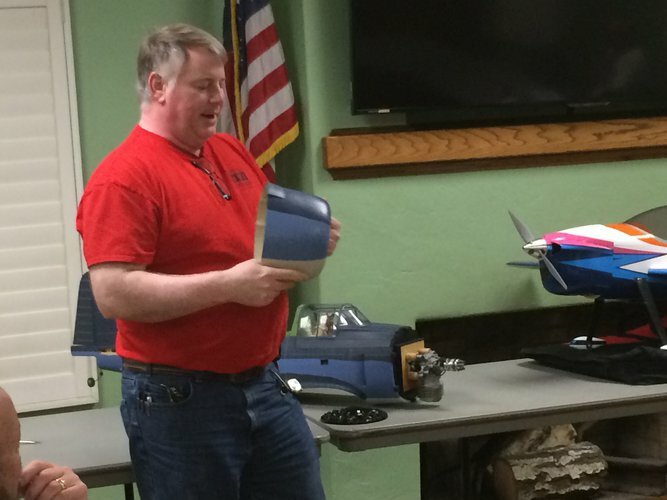 Larry reported on the AMA and FAA’s before you fly app. 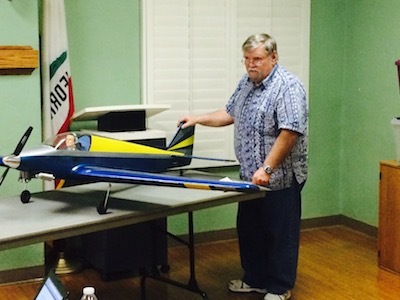 Chuck welcomed new member – Eric Erickson, he is an air traffic controller from Chino Airport. He is a welcome edition to our club. Chuck reported that the club will be going to the AMA show. Lonnie Morrison spoke about the Classic Pattern , an AMA event, food will be provided at the event and the field will be closed. November begins the heaviest period for weekend dog events which is November through January. We have a nice relationship with the Dog Clubs, and have we have never had any issues in the past and they donate lots of Toys for Tots, so please make sure they feel welcome. Board of directors nominations were opened and there’s always not an abundance of members looking to be nominated and this year was no different. Based upon the number of people turning out to nominate members for the board, everyone must be extremely satisfied with the way the club has been running. Chuck commented that you should always be nice to your fellow fliers. If someone is being mean or nasty just ignore them. 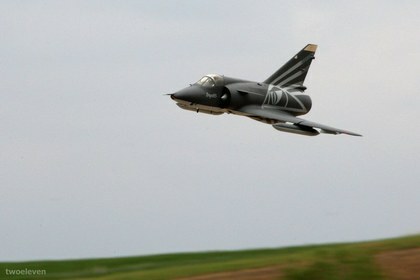 If your going to declare a mayday, do not land from north to south. We had an incident where someone emergency landed on the runway, but pointed towards the pits. The plane bounced over the fence, and hit a couple of other planes that were in the pits. 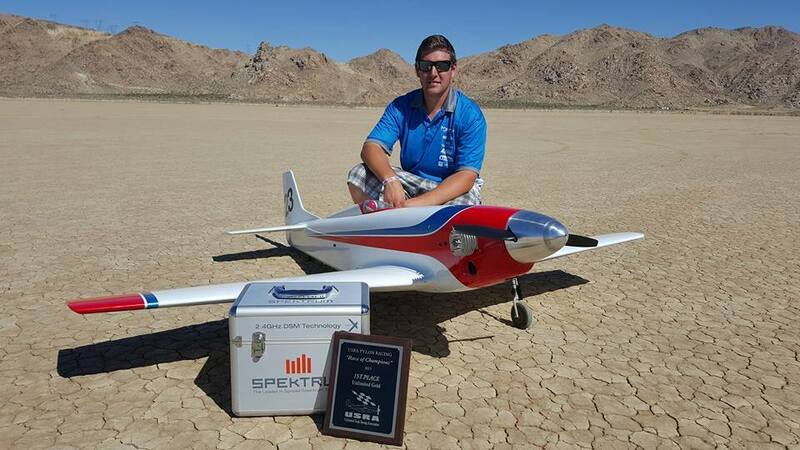 Chuck talked about the USRA races at Rabbit dry lake where a few of our members volunteered and witnessed alcohol-fueled 150cc-200cc powered , heavily modified airplanes compete in on of 5 classes for over $8000 in cash and prizes. 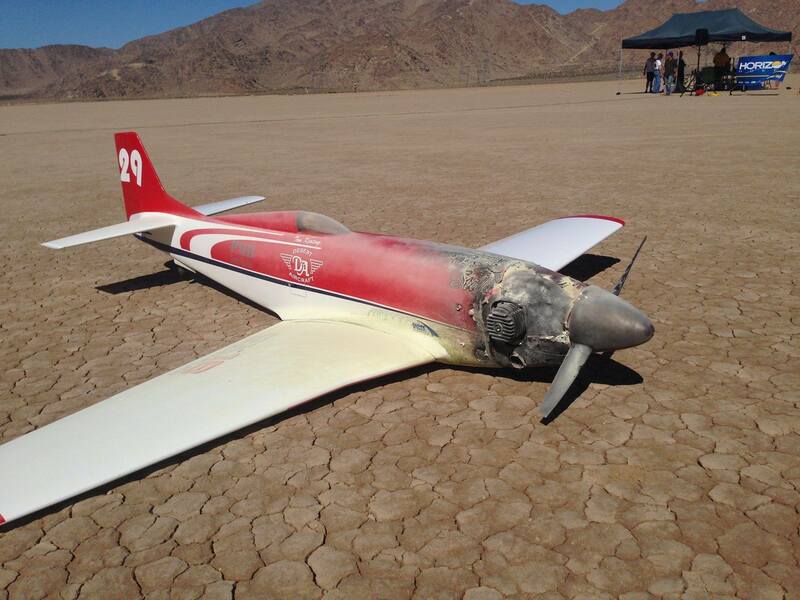 4 airplanes were destroyed at about $8000 a piece, 2 others are in bad shape, but all the volunteers had a good time. 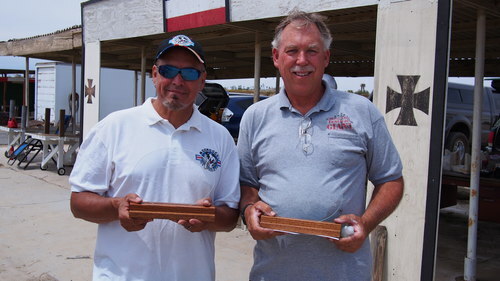 The fastest at the speed dash was 240 MPH with a 15 MPH head wind was more than quick enough for RC veteran and team Horizon Hobby pilot Peter Goldsmith to claim the $4000 prize. Congratulations Kyle and well done! 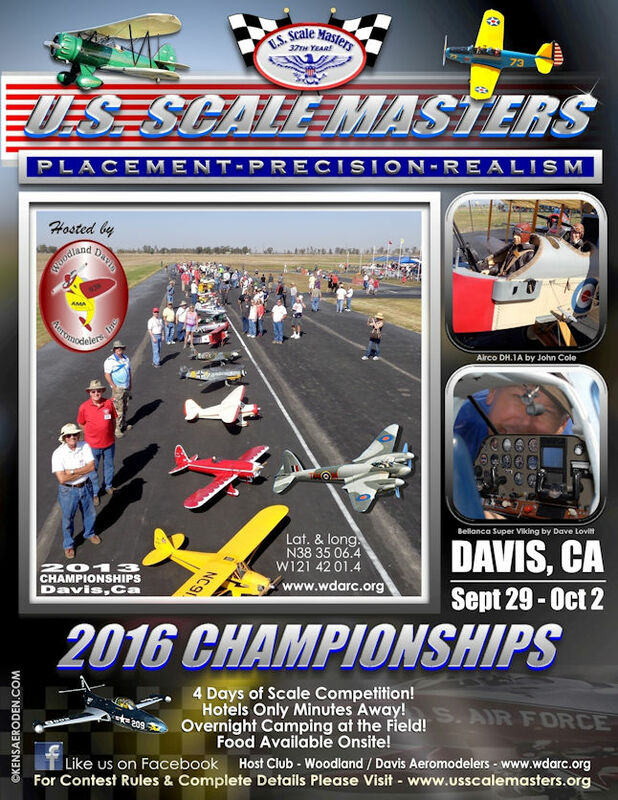 All entries must be a scale representation of a full size aircraft that qualified to race in the Unlimited Class during any year at the Reno National Championship Air Races or other scheduled Unlimited races such as the Phoenix 500. 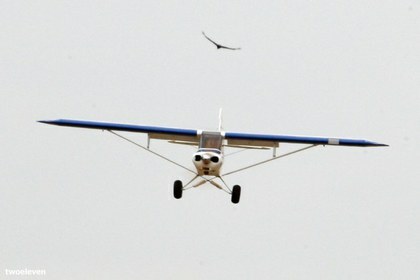 Minimum wingspan for single engine aircraft is 100” and 112” for twin engine aircraft. 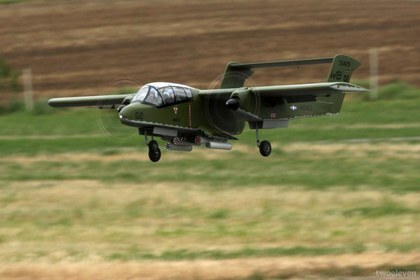 Minimum aircraft weight is 25 lbs. (dry). 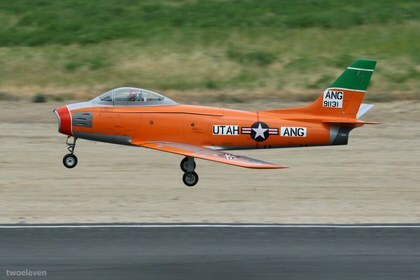 Maximum aircraft weight is 55 lbs. (wet). 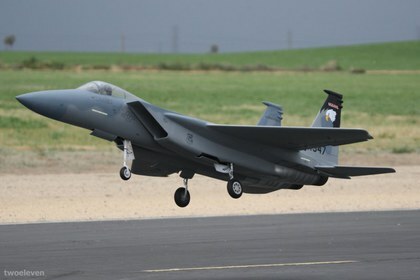 Wing and tail group airfoils suitable for model aircraft may be used. Wing and tail group planforms should follow scale planform, chord, area, etc., of the full size subject when scaled and/or as specified in the USRA Aircraft Specification Sheets. Engines must be neatly cowled where possible with no more than 50% of the cylinder head length projecting outside the cowl. 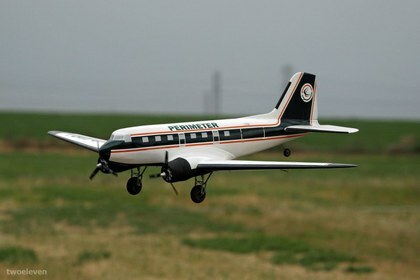 All aircraft must use scale-like retractable or fixed main landing gear as appropriate to the aircraft modeled. Aircraft must be propeller driven with piston or rotary engines. The Pattern Contest on Saturday September ,26th had only 14 pilots, but everyone behaved and had a good time. Hopefully we can get a better turn out next year, and can only speculate why the numbers are so low. 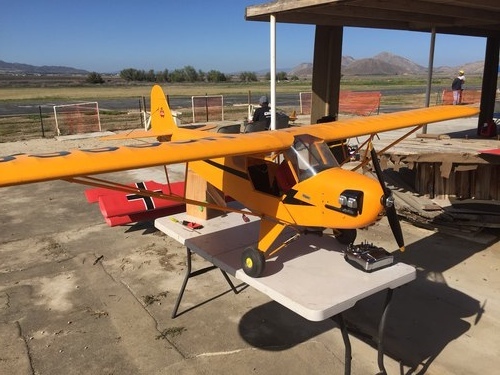 Sundays Classic pattern Contest was a bust due to weather, though right after it was canceled, the weather cleared up and the wind calmed down, and the few that remained had a good day of flying. Big Jolt was discussed which was on October 23rd through the 25th. Tom Marcure, a board member who handles all membership processing, has been impressed by everyone who has been sending in the proper documentation for membership renewals, which is already at over 70 members for 2016. 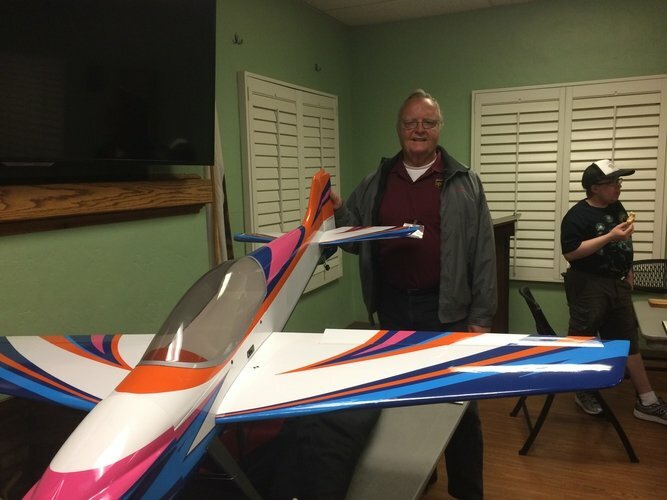 George Pollard Brought in a Saito Fg120, Great planes Ultra-sport 1000 80” wingspan, weighs 14 lbs. 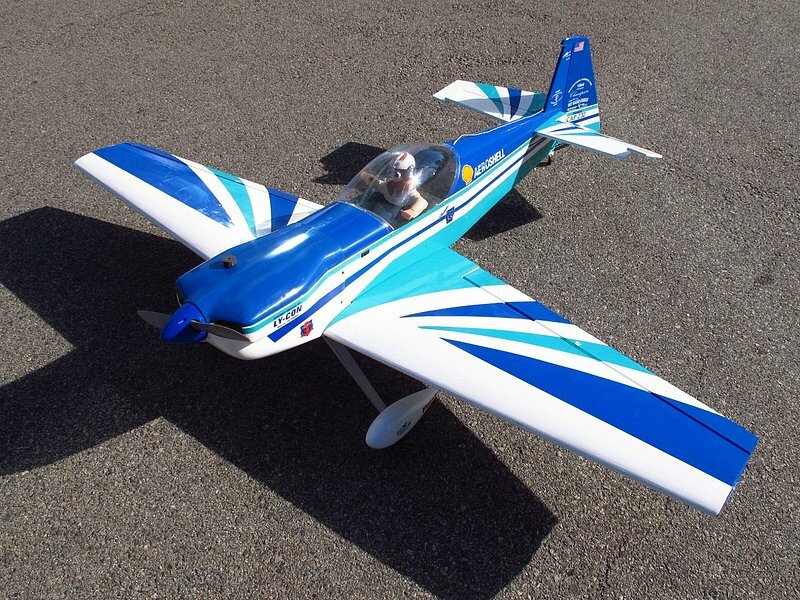 has a symmetrical airfoil, and the wing is modeled after the Kaos an was stick built. 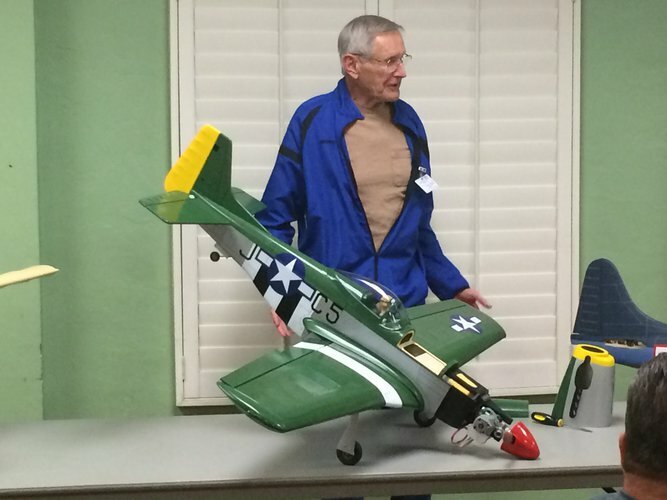 Oscar Furlong brought in the Horizon Hobby B-17. He reports that it doesn’t handle much wind and recommends a larger 500mah battery, to balance. 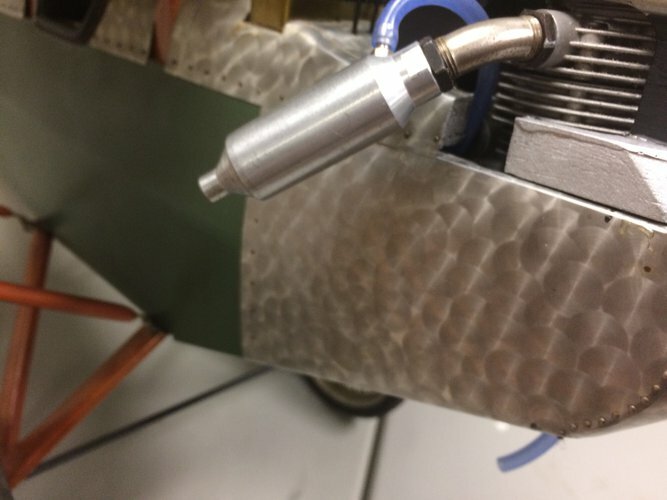 All Motors turn and the tail wheel is not steerable. 4 channel radio is required. Price is $83 dollars after shipping with the AMA promotion. Oscar recommends the product . Members Drawing – 10 lucky winners, Nate won the $75. Chuck Pozonac, the PVMAC President, started the meeting off by talking about the Main Gate. Chuck wants to make sure that everyone is locking the main gate if you’re the last to leave the Prado field. Even if you think there might be duck hunters still there, lock the gate to be safe. All the Bells are all there now, so the gate is fully functional and should be locked. The PVMAC was awarded a Commemorative AMA Brick at the cost of $1000 at the AMA site in Muncie Indiana to be places in the AMA Walk of fame. It will read We are PVMAC Charter 00142, Gold Leader Club. We are 1 of 2 clubs that have been awarded this brick. The other is from Weak signals club that puts on the Toledo show. Tom Marcure talked about the newsletter, and clarified the rules for the drawing and submissions which have been posted on the website. There will be 5 $100 prizes drawn at the end of the year. See the newsletter and Website post for more details. There was a complaint about loud music being played at the field and this is the first complaint of this kind. There are no rules against it, but it is common courtesy to keep the volume low as not everyone has the same taste in music. There was a fire extinguisher left at the field and it was brought up that putting your name on it might be a good idea. Chuck has some regrettable news. The Norton Field, which is home base for many of our PVMAC members, will no longer be available to fly at after July 31st. the PVMAC has been notified that we must vacate the field after that date. We are working on ways to save it but it seems unlikely that we will be able to. It has nothing to do with the FAA or the PVMAC Conduct at the field and everything to do with San Bernardino’s plans to increase operations at SBIA. We are lucky to have been able to fly there for this long. 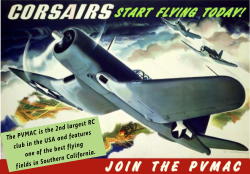 Your PVMAC newsletter, Flightine, is still in need of an editor. Tom Marcure, who is on the PVMAC board has been filling in as Editor-in-chief and Tom Callahan has been doing the writing for the last few months. The two Toms and The board realizes that this is a-lot of work for one person to put the newsletter together and come up with interesting content every month. In fact it is a-lot of work for two people to do. Especially when we each have demanding jobs, demanding families and we like to fly occasionally too. Everyone in our club wants a newsletter every month that is interesting , informative, educational, and occasionally on-time. We also don't want to put the entire burden on one or two people, as this will most lead to quick burn-out and is certainly not conducive to meeting the desired goals of our newsletter. 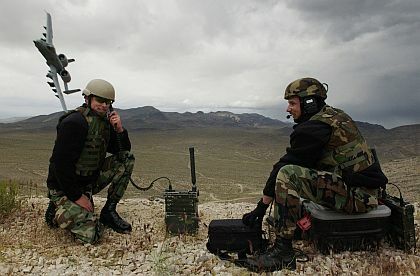 To that end, the board has agreed to "CALL IN AIR SUPPORT!" so to speak. We are asking for volunteers to help out by contributing an article to the newsletter. And for your efforts you will be entered into a drawing for a chance to win one of five $100 cash prizes at our December club meeting. For each article you contribute, you will receive one ticket into the drawing. And although you are welcome and encouraged to contribute more than one article per month, you will only receive one ticket per month. 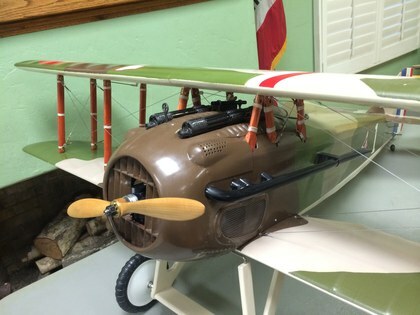 Articles can be about anything RC airplane , helicopter, or multi-rotor related and here are just a few ideas that may spark your writing creativity. 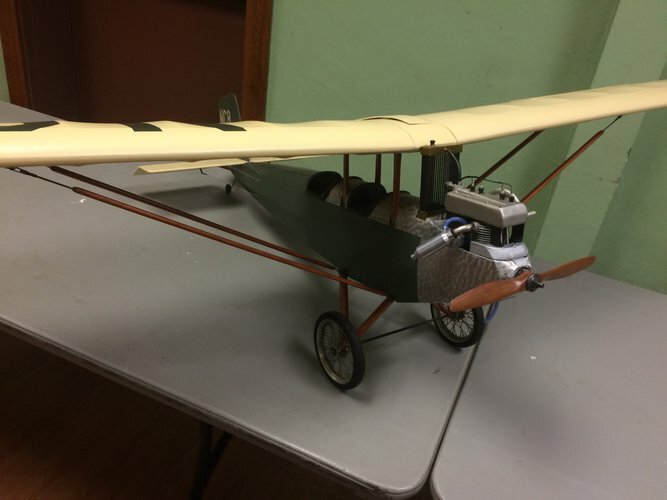 You can do a write up and review of an ARF you bought and flew, a new scratch build your working on, or new piece of equipment (charger, radio etc.) you acquired are now using. Perhaps you can share some wisdom on a particular skill or technique with a great step by step how-to guide. 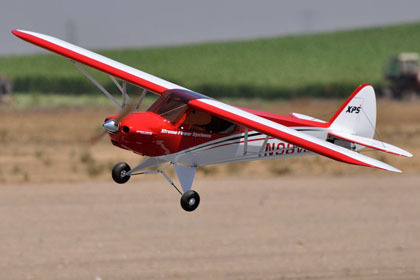 If you’re an active competitor in one of the many flying competitions, perhaps you can share with us how to get started, or what the competition entails or how to be competitive in the sport. Maybe you know someone in the RC industry and would like to interview them. Or you may do a write up and review of an RC event that you attended. 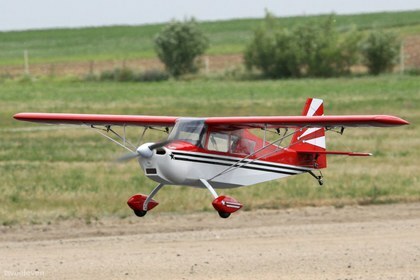 The story of your plane crash can certainly result in a good article, especially if you include the sequence of events leading up to the incident, the investigation, lessons learned and preventative measure. And winning the raffle at the end of the year can certainly help take some of the edge off your P.T.C.D. (Post Tremendous Crash Depression). 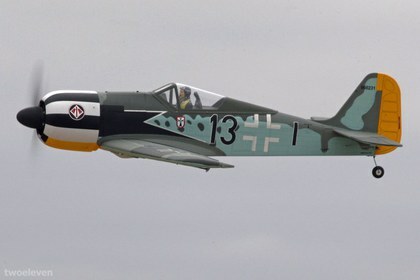 These are just a few Ideas that would make our Flightline newsletter interesting, informative and educational and a newsletter that everyone looks forward to receiving each month. For those of you who regularly attend the monthly club meetings , you know that participants of the show-and-tell each month get entered into a raffle for a chance to win either a $250 or $350 Visa gift card at the end of the year. If you participate in that drawing, You may consider also doing a write-up of the same subject for this drawing. This will give you yet another opportunity to win in the separate newsletter drawing. For each month that you submit one or more articles, you will be entered in the year end drawing. You can only receive one entry per month. Valid articles that are submitted, but not used in the newsletter will still receive one entry for the month in which they were submitted. Articles may not always be used in the month for which they were received. In order to qualify for an entry, your article must be approved for publication by the editor. If your article is not accepted, you will be notified why it was not accepted. 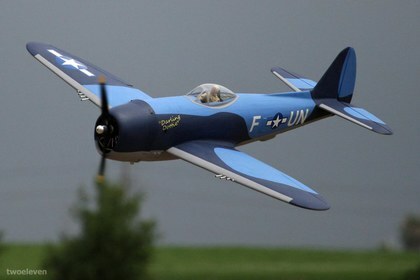 Articles will generally only be rejected due to content not in line with the spirit of the modeling hobby. All decisions concerning article acceptance are final. Five entries will be drawn at the December General Membership Meeting. Each winner will receive $100. You can only win one prize per year. If we have less than five entries for any drawing, the ad- ditional prizes will not be awarded. Roy Barringer read the minutes from April meeting. Bill Sheets read the treasury report. Chuck started off the meeting by giving thanks to the cooks at the PVMAC event, Bob and Steve Gamble, who cooked all weekend with smoke in their eyes. 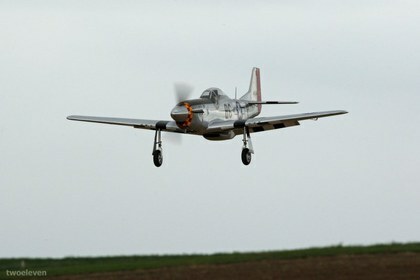 Chuck reported that the flight line ran smoothly at the Wings over Prado and there were no complaints from the tower. The event made a bit of money, and everyone had a great time. Chuck also gave a huge thanks to Randy and Joni for organizing the Wings over Prado event. Joni and Randy then spoke about the event, and appreciated the members involvement at the event. 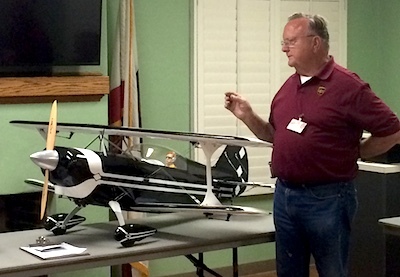 31 of the 58 registered pilots were PVMAC club members, which was over 50%. We had pilots from all over; 3 pilots from the bay area, 3 from Vegas, 1 from Fresno, and 3 from San Diego, Hesperia, and Camarillo. 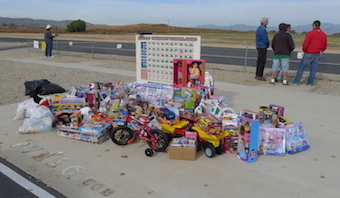 Donations for the raffle were provided by Hobby Club USA, Hobby people, Perfect Pilots, and RTL fasteners. Randy Gave a full recap of the event, and was extremely pleased with the outcome. 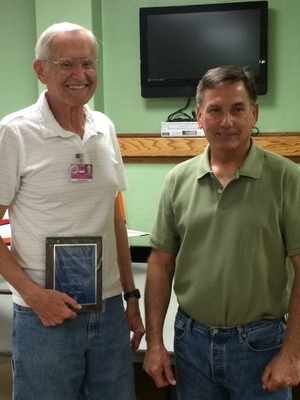 A plaque was Awarded to Paul Smith for Winning the best detailed ARF with is A-10 Warthog at the event.